Microservices Implementation: Why Should Businesses Care? 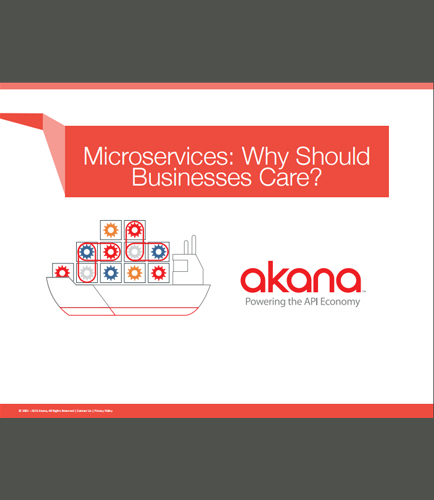 "Microservices Implementation: Why Should Businesses Care?" Why should businesses care about Microsevices? Microservices have become an important aspect in business, as they are gaining traction, making headlines and stimulating new thinking about how to organize application architecture. The Microservices Architecture offers IT organizations a great deal of potential for agility and cost reduction due to their granularity and reuse. This whitepaper looks at how Microservices work and offers some thinking on how to make the most of them, in business terms while retaining their inherent technological advantages. It highlights the following points by providing answer to why business should care about Microsevices? What are the benefits of deploying Microservices architecture? What are the reasons to transition to Microservices architecture? How Microservices are different from Service-Oriented Architecture (SOA)? How Microservices are different from APIs?